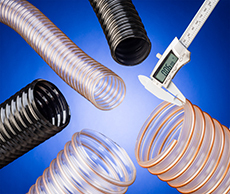 Flexaust Flx-Thane® Series Polyurethane Hose is reinforced with a bronze coated spring steel wire helix and provides excellent compressibility and flexibility as well as superior abrasion- and chemical-resistance. Offering four styles: Light Duty LD with a .020” thick wall, Medium Duty MD with a .030” thick wall, Heavy Duty HD .045”, and Very Heavy Duty VHD 0.060” wall, users can select a wall thickness that best matches their requirements. 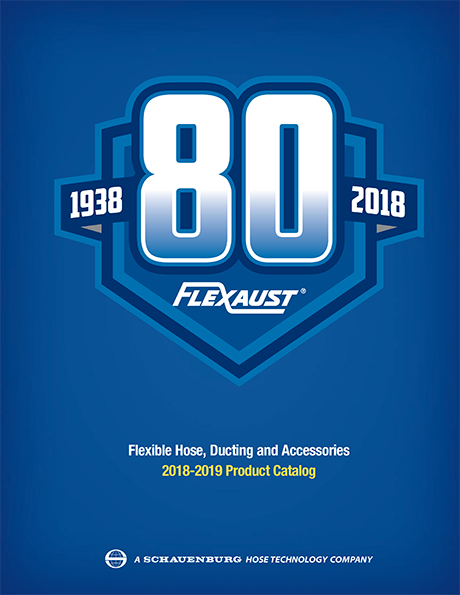 Suitable for a wide variety of applications over a -65°F to 225°F temperature range, Flexaust Flx-Thane® Series Polyurethane Hose is available in black and FDA acceptable clear which permits viewing of the material flow. 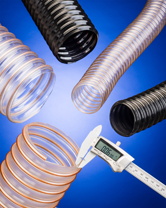 Sizes offered range from 2” to 24” I.D. 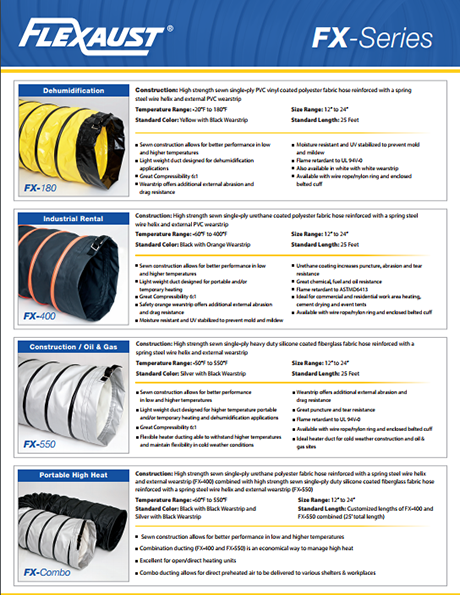 (60 to 300 mm) lengths. 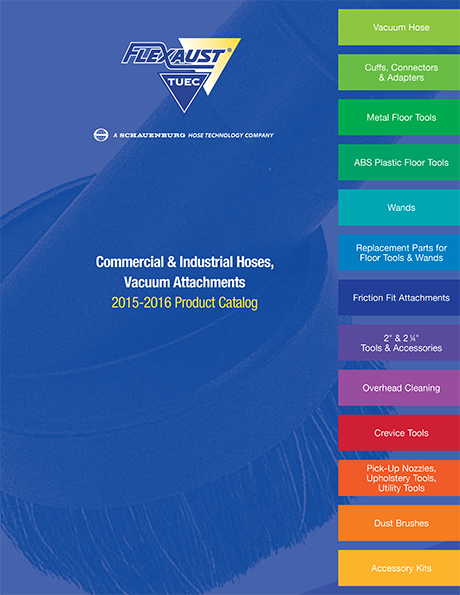 Uses include fume extraction, dust collection, lawn & leaf collection, concrete and sand transport, grain vacuum, and bulk material handling. 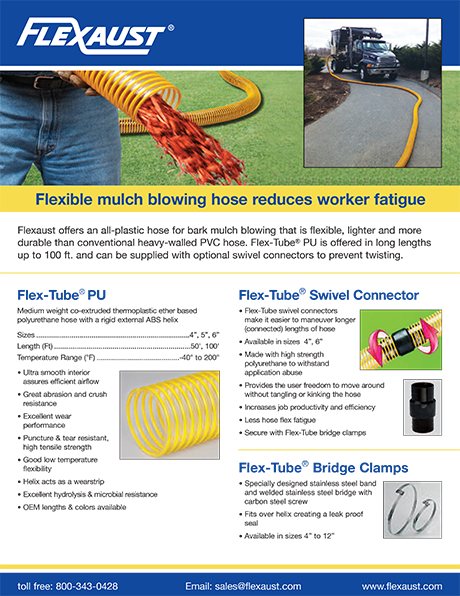 Flexaust Flx-Thane® Series Polyurethane Hose is priced according to size and quantity. Samples and pricing are available upon request.